The Dubai Shopping Festival (DSF) is typically one of the biggest shopping events in the city and the 2019 edition aims to be no different, according to its organiser. Running from December 26 to February 2, Dubai Festivals and Retail Establishment said this year’s event would see participation from more than 700 brands at 3,200 outlets across Dubai. 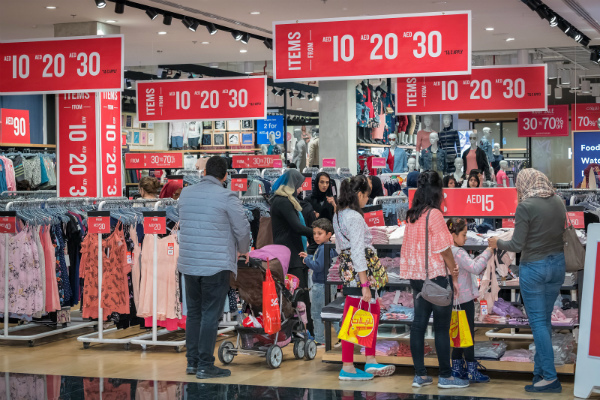 Shoppers will be able to enjoy up to 75 per cent off on many items for longer thanks to a week extension introduced for the 2019 edition. The event will begin with a 12-hour sale, offering customers up to 90 per cent off in Mall of the Emirates, City Centre Mirdif, City Centre Deira, City Centre Me’aisem, City Centre Barsha and City Centre Shindagha. This big sale will last from midday through to midnight and includes top brands in fashion, beauty, homeware and lifestyle. Following this on December 27, DSF weekend surprises will give customers the opportunity to bag even more deals. The sale will start at 10:00am each Thursday, Friday and Saturday with discounts ranging between 25 and 75 per cent off. ‘Shop the Night Away’ is another event DSF is putting on this year. Starting on January 9, at 6:00pm every Wednesday, shoppers will be able to enjoy promotions at their favourite outlets and restaurants and attend workshops, styling sessions and qualify for gift bags. As far as promotions go, Infiniti and Nissan are having raffles for a chance to win a car. Infiniti customers will have the chance to win a QX50 and Dhs150,000 in raffles. A daily Nissan raffle will also give shoppers the chance to win selected Nissan models. To enter the Infiniti mega raffle draw, customers need to purchase a raffle ticket for Dhs200 from October 15. For the Nissan raffle draw, customers need to spend Dhs20 on non-fuel purchases at ENOC and EPPCO stations and Zoom stores. Additionally, five lucky Infiniti raffle ticket holders will get a weekly chance to win Dhs20,000 each over a period of five weeks during the DSF and one raffle ticket holder will also get a chance to win a mega cash prize of Dhs500,000 as the shopping festival comes to an end. Outside of these main events, there will be fireworks taking place every Thursday and Friday night at Al Seef, La Mer and The Beach. 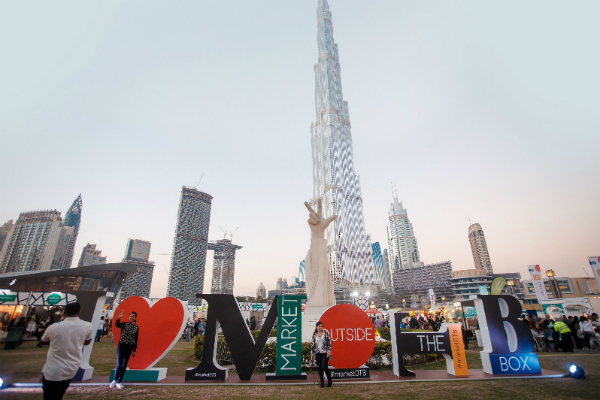 The popular Market Outside the Box (MOTB) pop up market will make a return for the shopping festival at the Burj Park. From January 24 to February 2, offering products from local designers and brands. There will be plenty of entertainment for the kids and many different street-style food vendors. In addition, DSF will also offer a variety of events and activities for residents and visitors to choose from including concerts and free-to-attend family-oriented activities in malls and activations by leading brands.